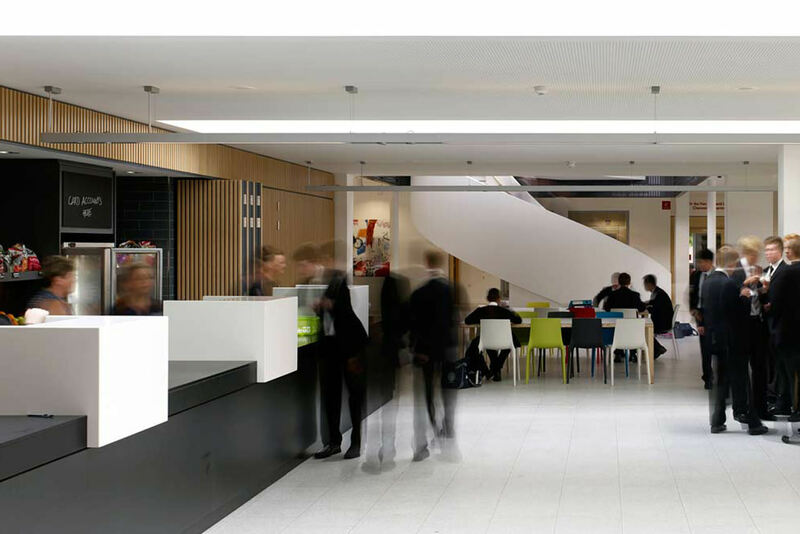 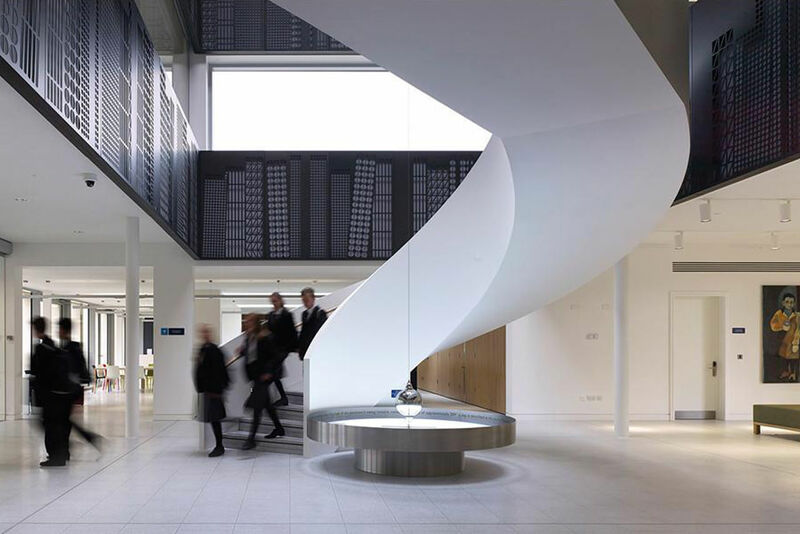 This helical staircase is situated in a school atrium in Rutland. 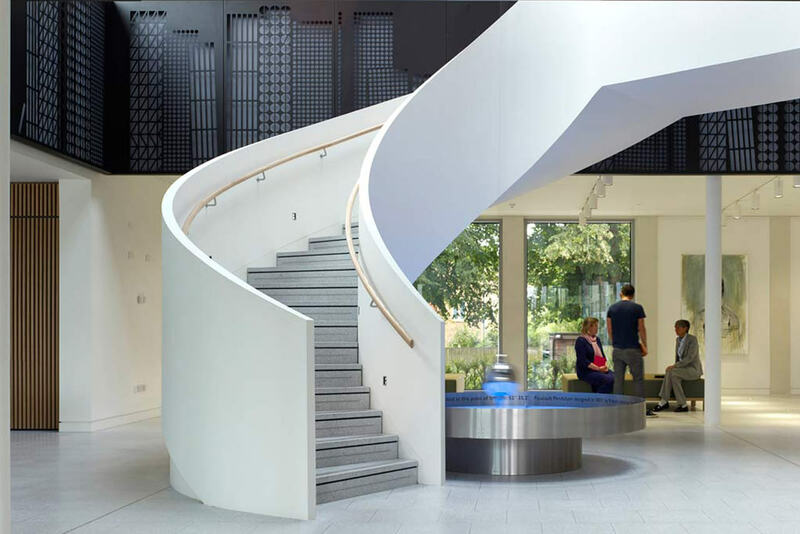 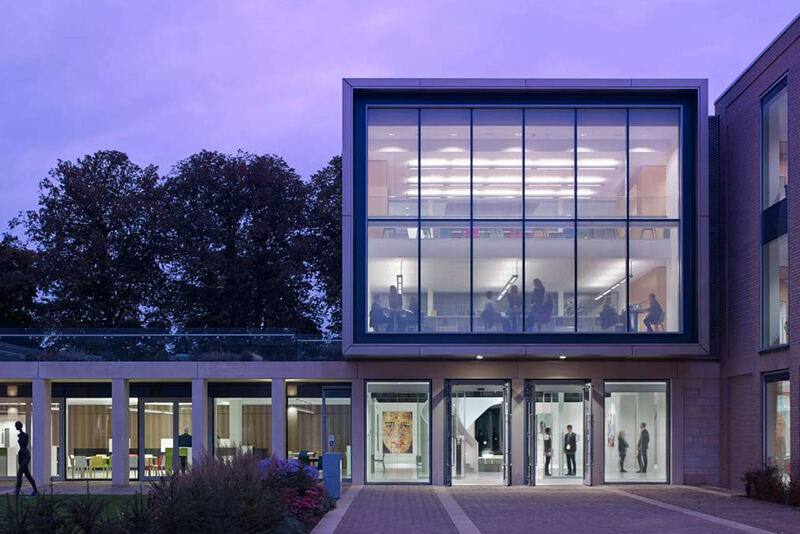 It is constructed with stone treads, plaster balustrade and soffit and a European oak handrail. 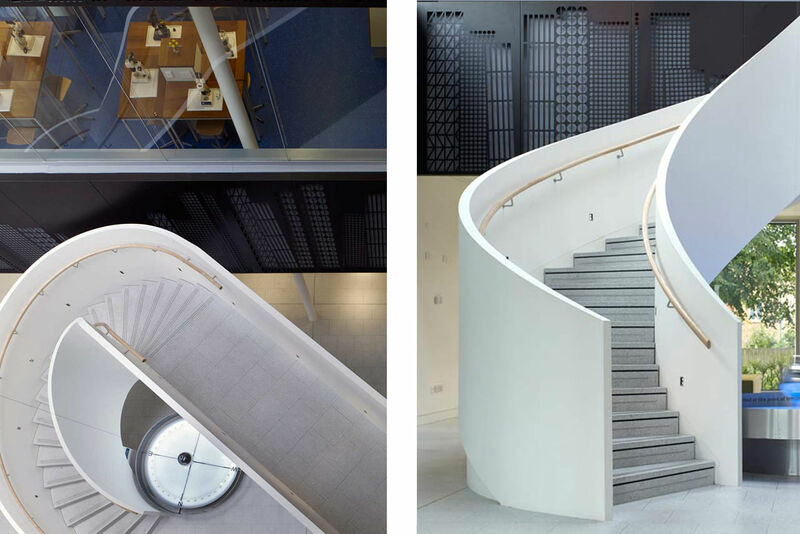 The precise setting out on site was key as there is a Foucault pendulum swinging right down the centre of the staircase.